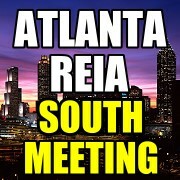 The Atlanta REIA South Monthly Meeting, led by Reggie Jackson and Gordon Catts, is held on the of each month at 6:00 PM at Club E located at 3707 Main Street, College Park, GA. Members can attend for FREE and non-members pay $5 at the door. Show up at 6:00 PM to eat and network before the meeting begins. There will be lots of learning and lots of networking. Bring your deals and your haves, wants and needs to the event. Cost: Members are FREE. Non-Members are $5 at the door. 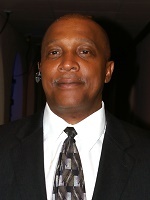 Reginald “Reggie” Jackson has been a licensed real estate broker and investor in the state of Georgia for the past 30 years. He has invested in single-family and multifamily properties throughout metro Atlanta in areas where he has worked endlessly to revitalize low income communities. Reginald believes in buying low and building high, where both property and community members grow together to raise property standards, ownership pride and unity. Gordon Catts has a widely diversified real estate background. He has been involved in building, appraisal, title work, and brokerage, as well as training, mentoring and consulting. Gordon has trained thousands of real estate investors nationally, as well as locally in the Greater Atlanta area. 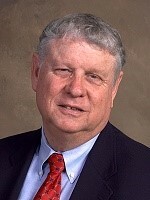 He actively participates in the Atlanta Real Estate Investors Alliance (Atlanta REIA) and runs several subgroups and is a Past President of Georgia Real Estate Investors Association (GaREIA.org) as well as being a Founding Board Member of the National Real Estate Investors Association (NaREIA).